In 2008, to celebrate the 50th anniversary of the Council for British Archaeologys Wessex group, archaeologists gathered in Southampton to review what we have learnt from the huge amount of research carried out in the region during the past 50 years and to identify the challenges for the next half-century. The conference was also a chance for those involved to tell the exciting story of discovery from their own, personal angle. 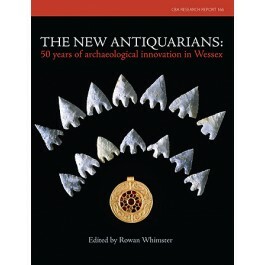 The contributors to this volume include many of the UKs most influential archaeologists of the later 20th century, making this book an overview not only of the history of Wessex, but of the development of archaeological thinking and techniques during this period. Interspersed amongst these papers are profiles of the regions most influential sites and the memories of some of its leading characters.